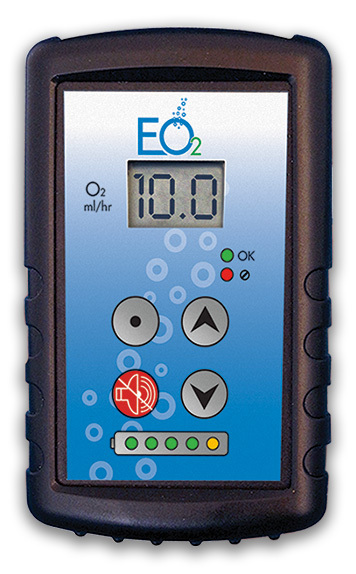 A key feature of the TransCu O2® System is the ability to supply variable flow rates of oxygen to accommodate various wound sizes. The flow rate is adjustable in the range of 3 ml/hr to 15 ml/hr. 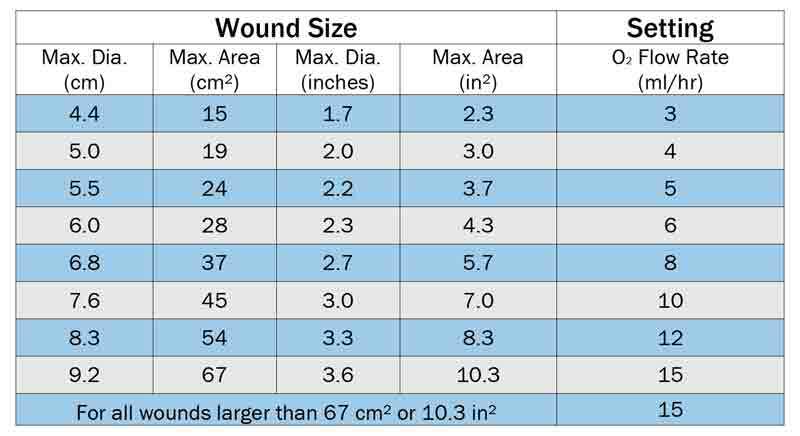 Based on the surface area dimensions of the wound, or primary moisture absorbent dressing, the following chart can be used as guidance to set the oxygen flow rate. Please note and explain to the patient that increasing the oxygen flow rate does not necessarily equate to increasing the oxygen uptake by the wound or increased wound healing. 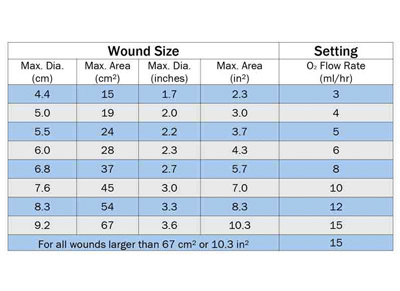 Due to the variable nature of wound sizes, degree of impeding factors to oxygen penetration such as slough and eschar, degree of wound hypoxia, types and sizes of wound dressings, and types and methods of application of dressings, it is difficult to provide precise guidance as to flow rate settings. The chart above should be used as a general guide. The device is now producing oxygen at the new set flow rate. NOTE: If the SET button is not pressed within 60 seconds, the flow rate display will stop flashing and the oxygen flow rate will revert back to the previous setting. 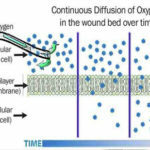 Prior to application of OxySpur Oxygen Diffusion Dressing, cleanse the wound area as necessary. NOTE: Do not use petroleum-based products in the moist wound bed as they will prevent oxygen from diffusing into the wound tissue. Select a dressing that will allow the wound contact area to completely cover the wound and extend onto healthy tissue. Remove the sterile dressing from the package. CAUTION: If the immediate product packaging is damaged (torn or punctured) on products marked as sterile, such as dressings and extension set tubing, do not use the damaged products and select an undamaged product. NOTE: When placing the OxySpur dressing, keep in mind the direction of the cannula (tube) coming from the dressing. It can be helpful to place the dressing so that the cannula is facing up, toward the head of the body rather than pointed to the feet. This will provide the highest range of motion when connected to the device. Remove part of the white liner to expose the adhesive (hydrocolloid) portion of the dressing. Position and smooth into place while removing the second half of the white plastic liner. Carefully smooth around the edge of the dressing to ensure good contact between the adhesive film border and the periwound skin. Place the dressing over the wound. 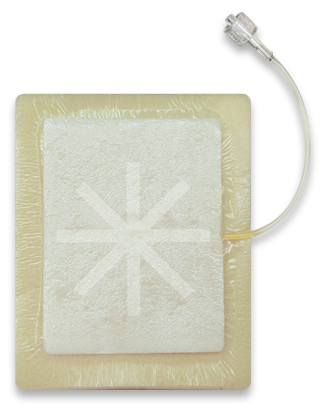 A secondary film dressing or conforming bandage should be applied over the OxySpur dressing to secure the dressing in place. If required, the dressing can be cut, although note that this may increase the risk of product delamination. NOTE: slight pressure should be placed on the entire dressing to ensure that the dressing contacts the surface of the wound. This enables wicking of excess fluid from the wound bed into the dressing and can be achieved using a wrap or a sock. For highly exuding wounds, make sure to secure any fixative film over all the edges of the dressing. Ensure that the edges are firmly sealed. 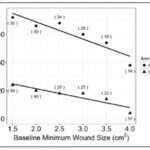 Gaps or tears could allow excessive exudate to damage the periwound and potentially lower the oxygen concentration at the wound site, which could affect the efficacy of the therapy. Dressing change frequency depends on multiple factors, including the condition of the wound as well as on the level of wound exudate. Please consult your clinical caregiver. In general, dressings should be changed once strikethrough (wound exudate reaching the top of the dressing) is evident. DO NOT lift or remove the dressing between dressing changes, unless instructed to do so by your clinical caregiver. Doing so will compromise your wound-healing environment and can affect your healing process. To remove a bordered (adhesive) dressing, loosen the adhesive film border before lifting the dressing away from the wound. To remove a borderless (non-adhesive) dressing, gently lift the corners of the dressing away from the wound. If difficulty is experienced on removing the dressing, it should be irrigated with water or sterile saline solution.